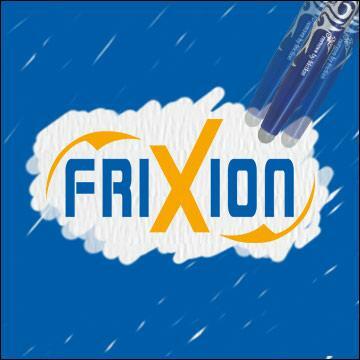 This website is accessible at the following URL: https://www.pilotpen.co.uk/en/ (hereafter the "Website"). The company PILOT CORPORATION OF EUROPE, SA with a capital of 7,216,936 Euros, registered on the Company Register 399 424 753 Annecy, the head office of which is located at the PAE de La Caille – Saint-Martin Bellevue – 74 350 Allonzier-La-Caille, France. The manager of the publication is Mr Ken SCHOELLHAMMER. 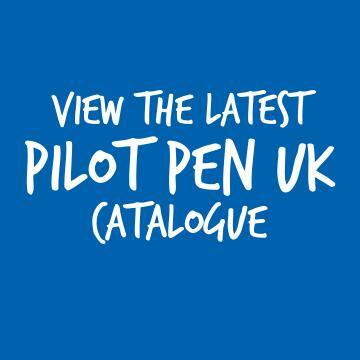 The company PILOT PEN UK LTD, registered on the Company Register 0142260, which is located at 4 Dukes Meadow, Millboard Road, Bourne End, Buckinghamshire, SL8 5XF United Kingdom..
You can contact us at info[at]pilotpen.co.uk. The website is hosted by the company CLARANET OXALIDE S.A.S.U - a SASU (simplified joint-stock company) with a share capital of 267 400 Euros, registered on the Company Register 433 507 787 Paris - https://www.oxalide.com/ - the head office of which is located at: 25 boulevard de Strasbourg, 75010 PARIS. Phone number: +33 1 75 77 16 66. The use of the service set up by PILOT CORPORATION OF EUROPE and PILOT PEN UK LTD and described in these general terms is completely free. However, the equipment (computer, telephone, software, telecommunications, etc.) allowing access to this service is the sole responsibility of the internet users, as are the Internet connection charges. The Website is the exclusive property of PILOT CORPORATION OF EUROPE and its content is the property of PILOT CORPORATION OF EUROPE or PILOT PEN UK LTD. Apart from simply viewing the Website on the Internet, any other use of the Website or its content is subject to the prior agreement of PILOT CORPORATION OF EUROPE and PILOT PEN UK LTD PILOT PEN UK LTD. It is strictly forbidden to use or reproduce the name of "PILOT" and / or its logo, any brand and design mentioned and / or presented on the Website or any other related site, for whatever reason in particular for advertising purposes, without the prior written consent of PILOT CORPORATION OF EUROPE and/or PILOT PEN UK LTD. The images that illustrate the Site come from the PILOT CORPORATION OF EUROPE and/or PILOT PEN UK LTD photo library. We are likely to include on our Site computer applications from third parties, such as for example Youtube. They are using cookies if you use them and we have no control over their process as they are acting for themselves. For more information concerning cookies and the use of your personal data by these applications, we advise you to consult their policies and general conditions for use. The Website services are accessible 24 hours a day, 7 days a week, except in the case of force majeure or an event beyond the control of PILOT CORPORATION OF EUROPE and PILOT PEN UK LTD and subject to maintenance periods and potential failures. The transfer rate and response time of information circulating between the Internet and the Website platform are not guaranteed by PILOT CORPORATION OF EUROPE. In fact, the speed at which information is circulated does not fall within the access service offered by PILOT CORPORATION OF EUROPE and PILOT PEN UK LTD, but the inherent characteristics of the online network with regards the technical means of acquiring the traffic generated. PILOT CORPORATION OF EUROPE and PILOT PEN UK LTD remind users of the Internet’s characteristics and limits and accepts no responsibility for the consequences of users’ connection to this network via the Website. More particularly, PILOT CORPORATION OF EUROPE and PILOT PEN UK LTD cannot be held responsible for any damage, material or immaterial, caused to users, their IT equipment or the data stored on it, or any potential consequences on their personal, professional or commercial business. PILOT CORPORATION OF EUROPE and PILOT PEN UK LTD cannot be held responsible for any use, by a third party, of elements appearing on private areas of the Website. 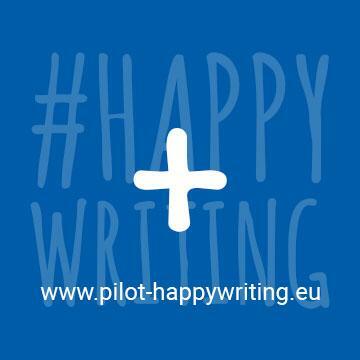 PILOT CORPORATION OF EUROPE and PILOT PEN UK LTD cannot be held responsible in the event that one or several users cannot connect to the Website due to any technical fault or any problem notably related to the overloading of the network. PILOT CORPORATION OF EUROPE and PILOT PEN UK LTD may unilaterally and at any time temporarily or definitively interrupt the online availability of its Website without its liability being sought and without this giving rise to an award of damages of whatever nature. The Website pages may contain hyperlinks referring to other websites managed by companies other than PILOT CORPORATION OF EUROPE and PILOT PEN UK LTD and over which PILOT CORPORATION OF EUROPE and PILOT PEN UK LTD do not exercise any control. PILOT CORPORATION OF EUROPE and PILOT PEN UK LTD do not assume any responsibility for the content of these third party websites or the content to which these third party websites may refer. The general conditions of use are governed by French law and any dispute relating to their execution and/or their interpretation will be submitted to the French courts. © 2018 - PILOT CORPORATION OF EUROPE – All rights reserved.